If you’re a big fan of Call of Duty games, you’ll probably buy this game anyway. 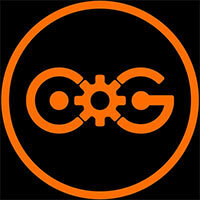 However, even if you’re not, take comfort in the fact that Treyarch didn’t drop the ball with Black Ops II. Instead, they showed that there’s still more juice to squeeze from this formula and that it not only works, but is still fun and very welcomed. Sure, the changes in Black Ops II feel more like alterations that make things feel less stale instead of actually evolving the franchise to its next level, but that’s okay so long as it feels this fresh. 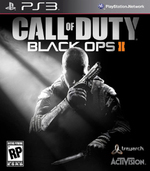 Black Ops 2 is the ultimate expression of what Call Of Duty has achieved on the current generation of consoles. 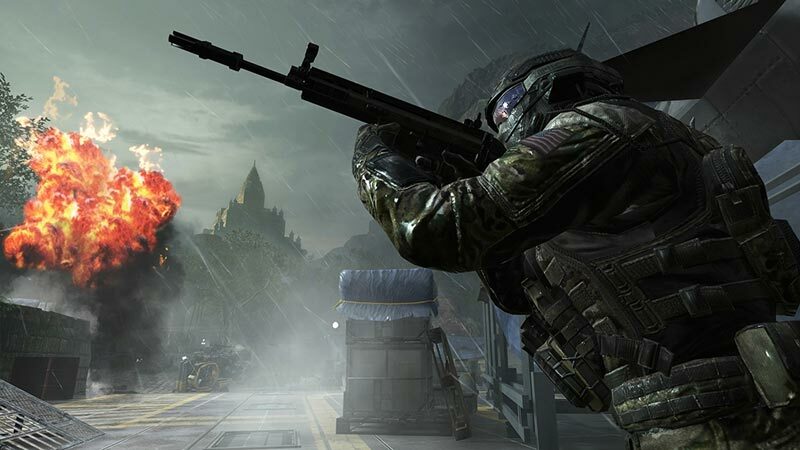 Most of the changes to the Call of Duty formula come in campaign mode, and they are executed with mixed results. Despite some frustrations, Black Ops II is yet another massive, polished, finely tuned entry in a series that shows no signs of slowing down. Even if Treyarch misses the mark on occasion, I respect the developer for taking chances with a series that would sell just fine if it stuck with the status quo. 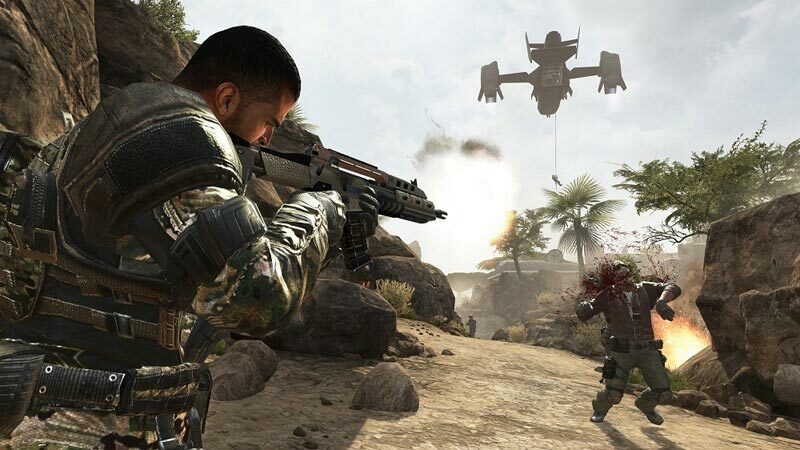 The single player is far from forgettable, but it doesn’t quite hit the same high notes that the original Black Ops did, despite having more features. The same could be said about Zombies mode, but mileage will vary, and there’s a huge amount of replay value with it. Competitive multiplayer is once again best in class, with a year’s worth of new refinements that change the game in meaningful ways. As a result, this year’s Call of Duty feels like a fresh new spin on what was an already popular formula. Though the single-player campaign is far from a strong point of Call of Duty: Black Ops 2 due to its clumsy narrative, ill-judged sections and short length, the online multiplayer still hits all of the right targets. 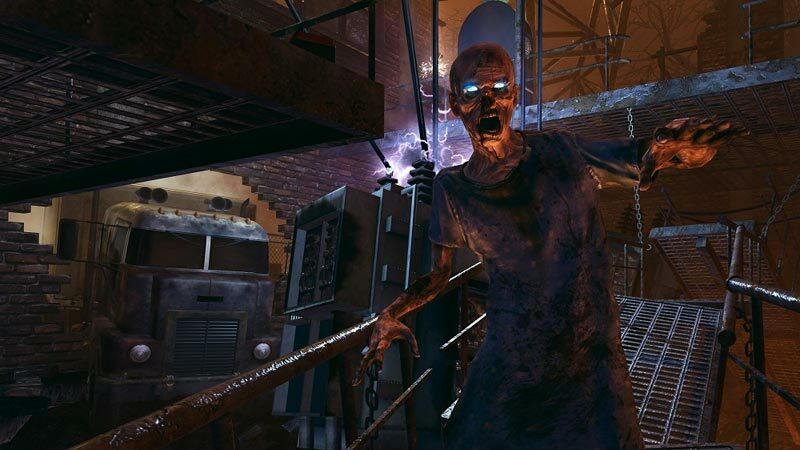 Some crucial changes ensure that it's a decent fit for a range of skill levels and more flexible than before, and the Zombies mode has been improved once again. It might not fire on all cylinders, but as a multiplayer game, Black Ops 2 is still in the upper ranks. Developer Treyarch's storytelling prowess has once again resulted in an engaging, exciting campaign, and the addition of league play to the online multiplayer arena is an intriguing change that could reinvigorate the formula that has endured for so long. By reaching forward while remaining rooted in the things it does so well, Black Ops II offers a great shooter experience. Black Ops 2 for the PS3 is an excellent game and stands as one the better installments in the franchise to date. 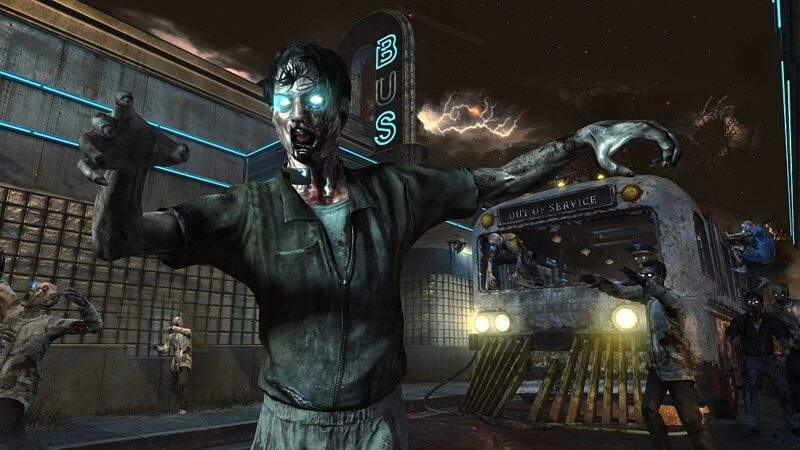 Treyarch has managed to improve and enhance nearly every single area of the Call of Duty experience with Black Ops 2. The PS3 version of the game doesn’t seem as polished as it’s Xbox 360 counterpart, but at the end of the day, Black Ops 2 for the PS3 is easily one of the better shooters to arrive on the PS3 in 2012. The game engine may not be a complete overhaul from the engine that powered Black Ops, but if I learned anything from my Medal of Honor: Warfighter review it’s that a technically impressive game engine can not compensate for sub par gameplay. 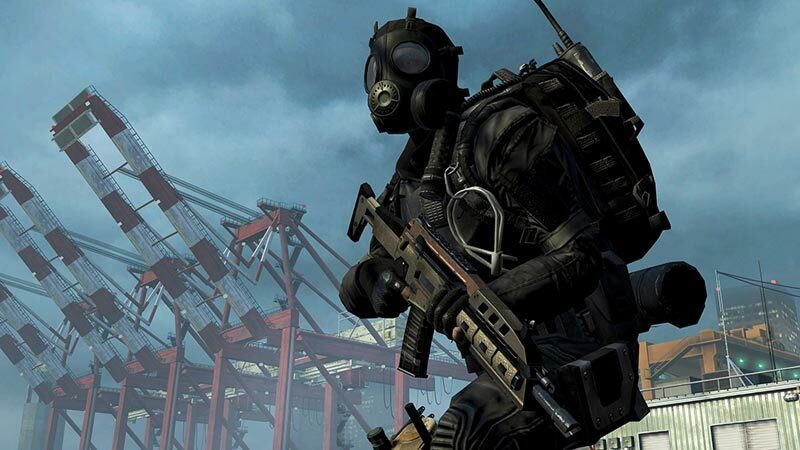 Black Ops 2 brings the same intense action the series is known for, with some interesting Treyarch twists. It may not be shiny and sparkly new, but it’s a hell of a lot of fun to play. Despite initial scepticism, Matt discovers that Black Ops 2 not only manages to improve on the Call of Duty series’ already fantastic multiplayer, but also provides the best campaign outing in recent memory, making it a must-have for solo players, and online addicts alike. La ambientación en el futuro de buena parte de la experiencia individual aporta frescura, y al multijugador le basta con retocar levemente su extraordinario funcionamiento para seguir divirtiendo. Un cambio en la forma, pero no en su corazón jugable, en una serie que necesitará evolucionar en el futuro para no agotar su fórmula, pero que aporta este año más contenidos que nunca. A Treyarch no le podemos negar el mérito por la valentía y la personalidad con la que afrontan cada Call of Duty. Esta vez han sabido mejorar, redondear y adaptar una fórmula a la que cada vez le falta más aire. No sé si será el mejor Call of Duty de la generación, pero desde luego es el más completo desde el primer Modern Warfare. Die Modi überzeugen sowohl durch Masse als auch Klasse. Lags haben Seltenheitswert, die Gefechte laufen rasend schnell ab, einzelne Modi wie „Kill Confirmed“, „Hardpoint“ oder „Gun Game“ sind Motivations-Garanten. Aber auch hier: Bloß keine Überraschungen erwarten! Alle Modi sind bekannt, Serverbrowser gibt es nicht, die hohe Geschwindigkeit setzt wie immer eine ordentliche Frusttoleranz voraus. Und so weht die Flagge des Stillstands über einem soliden, aber alles andere als berauschenden Shooter. On ne va pas se voiler la face, ce Black Ops II présente encore quelques faiblesses techniques, mais les équipes de Treyarch ont fait de véritables efforts pour apporter des nouveautés sur le fond. En proposant un solo moins linéaire et moins manichéen que les autres titres du genre, ce nouvel épisode de Call of Duty nous donne vraiment l'impression d'avoir intégré les critiques faites à la série pour se surpasser. On n'échappe certes pas aux scripts frustrants et à une absence certaine de liberté, mais le résultat est là : il y a huit fins différentes à découvrir ! Voilà qui redonne clairement de l'intérêt à l'aventure et assure une certaine rejouabilité. Dans le même temps, le mode Zombie se diversifie de manière sympathique et le mode multi développe plus que jamais son aspect social. Bien joué ! Atendendo exclusivamente à campanha, Black Ops 2 acaba por ficar aquém do esperado, já que esta é talvez a mais fraca campanha desde que Modern Warfare entrou em cena. Pessoalmente ainda prefiro a de World at War, embora em Black Ops seja interessante a perspetiva oferecida pela guerra futurista e pela comparação que oferece. É pena que o argumento não tenha sido capaz de acompanhar as transformações que em certa medida resultam.